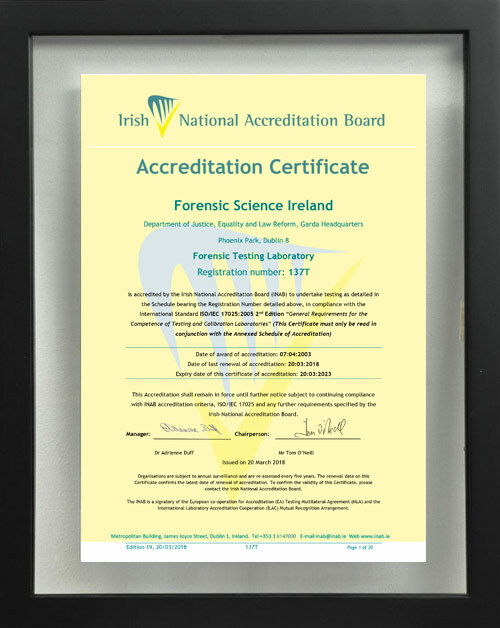 Forensic Science Ireland delivers, to best international standards, independent expert opinion, advice, training and research to support the Irish Criminal Justice System. FSI is accredited by the Irish National Accreditation Board (INAB) to the international standard ISO 17025, covering the normal range of tests and procedures along with its management system (INAB ref 137T). It is also operates flexible scope covering novel controlled drugs.